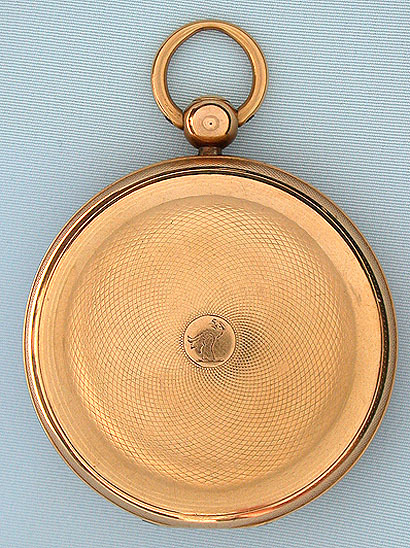 Fine 18K gold antique musical pocket watch circa 1830. 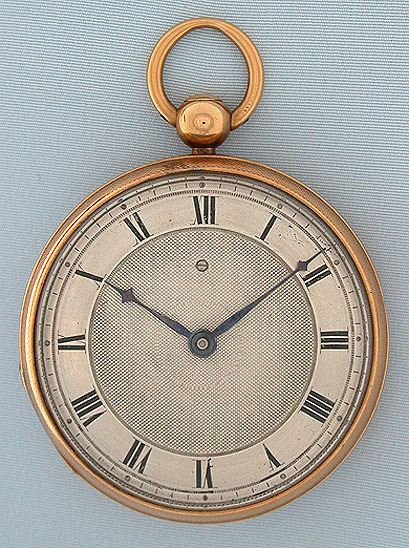 Silver engine turned dial with blued steel hands. 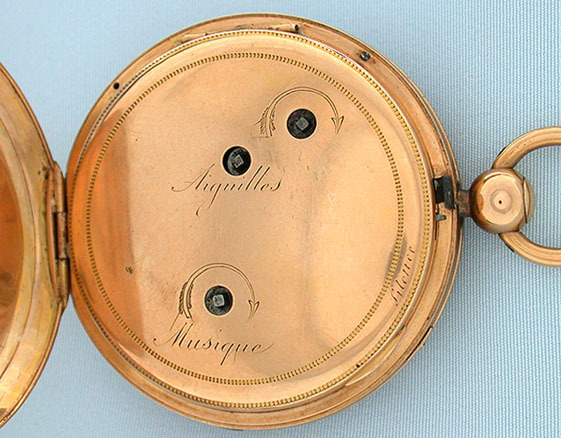 Gold engine turned case with typical edge wear with lever protruding from the dust cover to select silence or permit the watch to play music automatically on the hour. Also with slide in the band to play the music on demand. 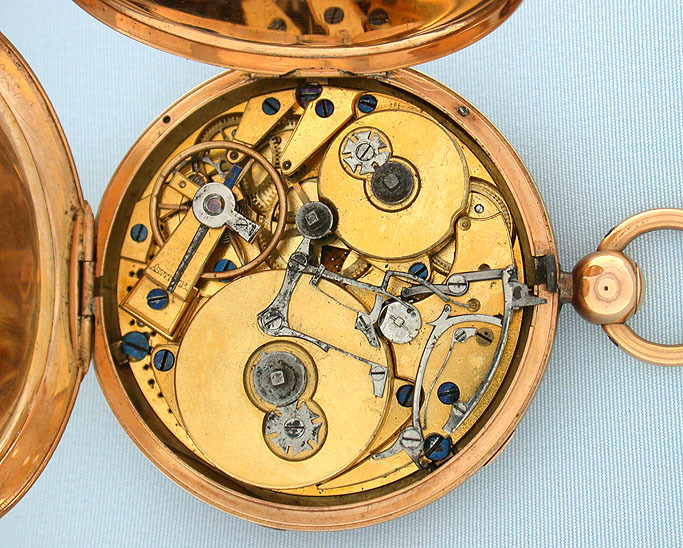 Gilt cylinder movement playing a sprightly tune on 26 tines, an unusually large number for a watch of this size. Excellent example.